According to Crowley, many smartwatches claim to have a sleep measurement technology, but they only measure motion, and they can’t differentiate between different types of sleep problems. 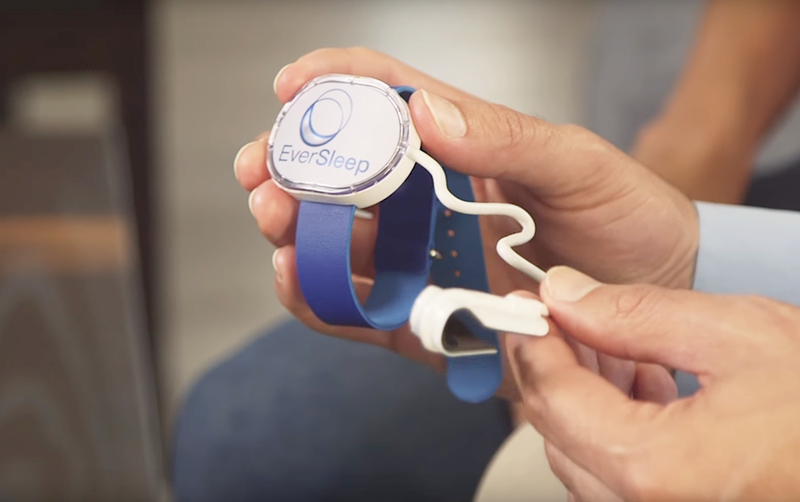 EverSleep takes all the same technology used in sleep labs and shrinks it down into a comfortable and wireless package. “These solutions typically deliver a sleep efficiency number like “79” in the morning, which means nothing. EverSleep delivers the same data that you’d receive from a sleep lab and plain-English interpretation and coaching specific to your sleep problems that previous night,” Crowley said. The built-in pulse oximeter monitors blood oxygen saturation, an accelerometer detects motion and a sound monitor detects snoring. All these sensors are neatly packed in a compact wearable about the size of a watch, which comes with a silicone strap. 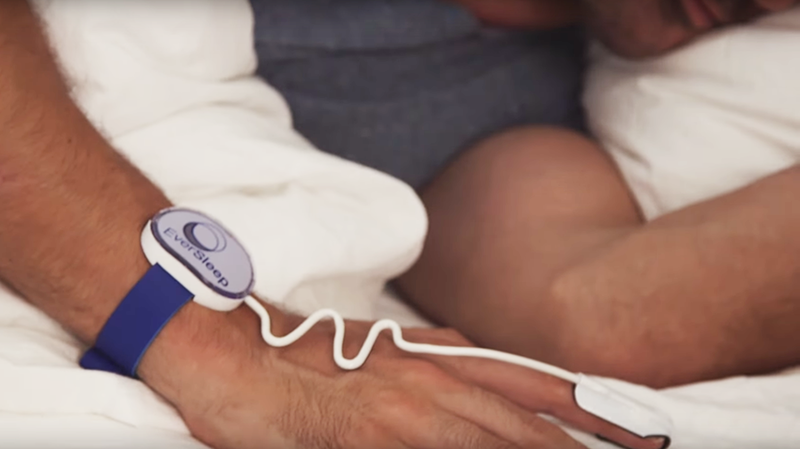 EverSleep also has a fingerprint sensor, a USB charging cord and a small roll of medical tape. Once you install the corresponding app, it’ll ask you whether you have any allergies or cold, because EverSleep wants to know if your sleep is disrupting due to breathing interruptions. It should be noted that EverSleep is a consumer health device and does not have FDA 510(k) clearance. Therefore, EverSleep does not claim to diagnose, treat, or cure any disease. Users are encouraged to speak with their doctor before if they’re having serious sleep disorders. Next articleLivongo Announces First Blood Pressure Monitor with Cellular Connectivity in U.S.